My experience has left me thinking: Why are so many of us so uncomfortable talking about money, and especially women? Why is there stigma and shame surrounding what we have or don’t have? Ever since I could remember, my parents talked openly about all things money with me and my brother. I was 7 years old when mom showed me her paycheck and explained what she did at work to earn $2.80/hour. Dad made around $4.00/hour. That was 1978. I would regularly accompany mom to the local grocery store. I’d hear her talk in excitement when she found an item on sale, which she’d then buy in bulk. It took $30 to fill the fridge with food back in the 70s. It didn’t take me long to appreciate that to feed our family required four hours of hard work by them – likely five when one accounts for taxes! Mom and dad would often discuss how much they were saving and their financial goals at the dinner table. Their insurance agent Helen would come visit a few times a year to review their goals, insurance plan and investments. There would be other advisors over the years, all of whom my parents would consider trusted friends. I didn’t realise it at the time, but my parents were instilling important lessons in my brother and me – lessons that would serve me well later in life. They imparted in us that money was a gift that could buy us freedom to achieve our dreams. But, they also taught us that because it was a gift, it wasn’t guaranteed. Money deserved our respect. It deserved us using discipline to save for the future, and restraint not to spend it frivolously. And it deserved our appreciation for the good it could bring to our life and of those around us. What I also didn’t realise until I moved to Asia 11 years ago was that my parents’ openness about their finances was not common practice, and certainly not shared in the Western cultures. Don’t get me wrong. I think most parents had a similar view to mine. But the concept of talking frankly about money has a strong cultural bent. In Singapore, strangers would regularly ask me how much I paid for something, how much in rent I paid, and sometimes, yes, how much I earned. Did you just cringe in discomfort reading this? Shocked? Don’t worry, I initially had the same reaction. But I understood that they had no ill-intentions. They genuinely wanted to get a sense of prices and affordability. 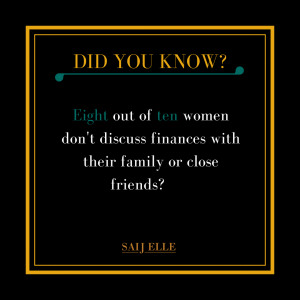 My experience however, has left me thinking: Why are so many of us so uncomfortable talking about money, and especially women? Why is there stigma and shame surrounding what we have or don’t have? 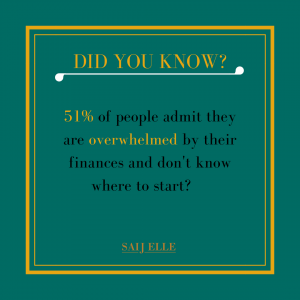 Why is it hard to admit that managing our finances can be overwhelming? Why have women especially been socialised not to bring up the topic? And what’s this “money silence” costing us, our family and our society? For one, money is deeply woven into our lives. We make a dozen money decisions every day (subconscious or not). We need it to survive and thrive. We need it to achieve the goals we value the most. For something so integral to us, shouldn’t we be more vocal about it? There is one thing I’m very certain of, and that is the cost of money silence is real and profound. It’s putting many at financial risk, and especially women. 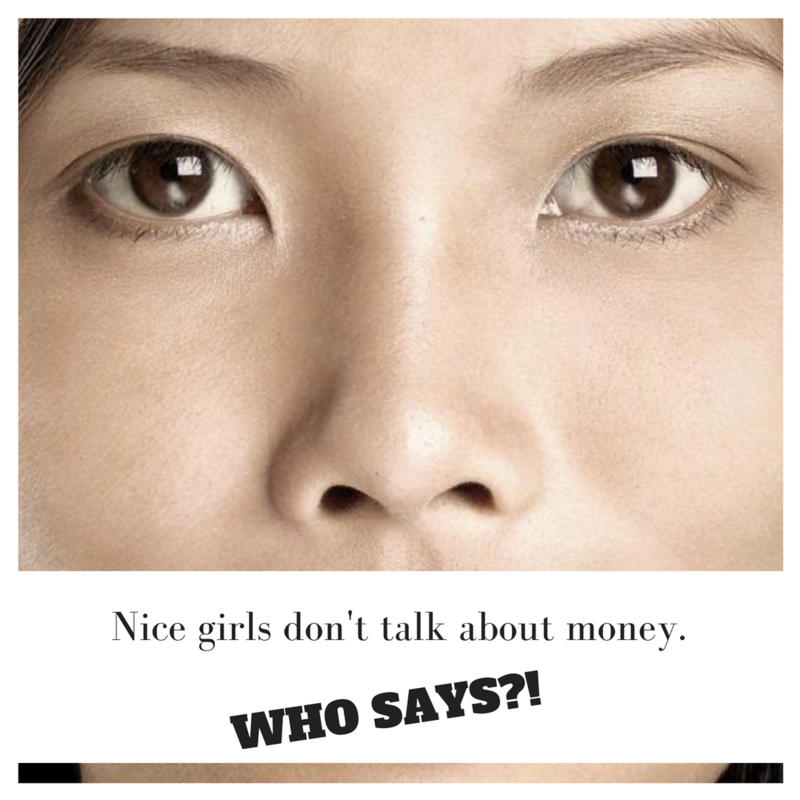 Women have been socialized to think it’s crass to talk about money. “Nice girls talk about pleasant things” we’re told. If we don’t have frank discussions about our finances to know whether we’re on the right path with our partners, family members and advisors, how will we actually know what’s really going on? If we don’t teach our children to be financially literate who will? If we don’t ensure everything we worked for is protected, who’ll guarantee it for us? You say you’re embarrassed you’re not where you should be? Better you start today than when you’re 60 and it’s really too late. You say you don’t know personal finance? Join the other 80% who don’t know either. We weren’t taught it in school. You can learn. You say you’re not good in math? If you can add, subtract and multiply you know enough. You say you don’t have time? If you have time to surf social media or watch your favourite series on Netflix, trust me you have time. You say you don’t want to rock the boat at home, work or at a bank? I can give you a list of women who said the same thing and ended up deceived, unappreciated or broke because they didn’t even attempt to take some financial control. You can’t fix what you don’t acknowledge, and often that acknowledgement has to be outward to really sink in and be a catalyst for change. So I encourage all of you to break the money silence. Talk to your partner, your kids, and close friends. Talk to me! I want each and every one of you to invest in your best life. I know you can but there’s no way around it – it has to start with you. Next PostDo Women Need a Financial Advisor?